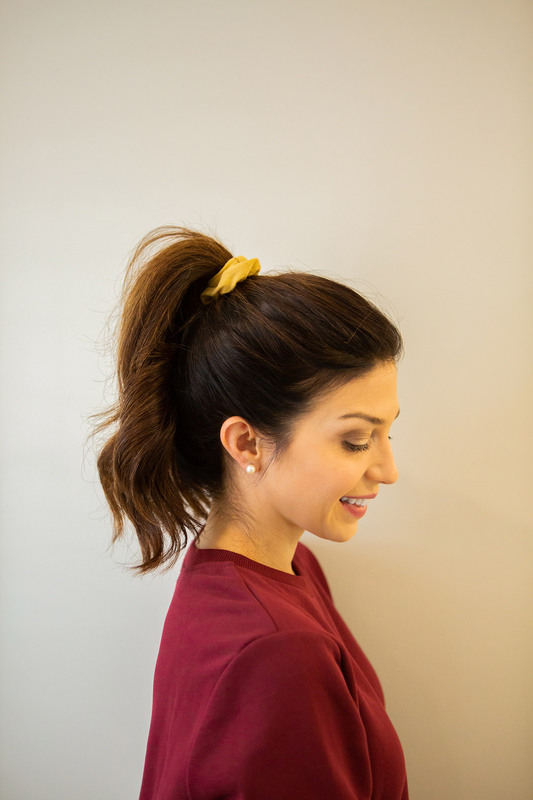 I keep things pretty simple but for some reason, lately I’m getting into fall hair accessories! I’ve got a very small collection of hats that I’d like to grow, but on days where I’m not up for hat hair, I found a few other things I like to add a little something to my otherwise unchanging hairstyle! 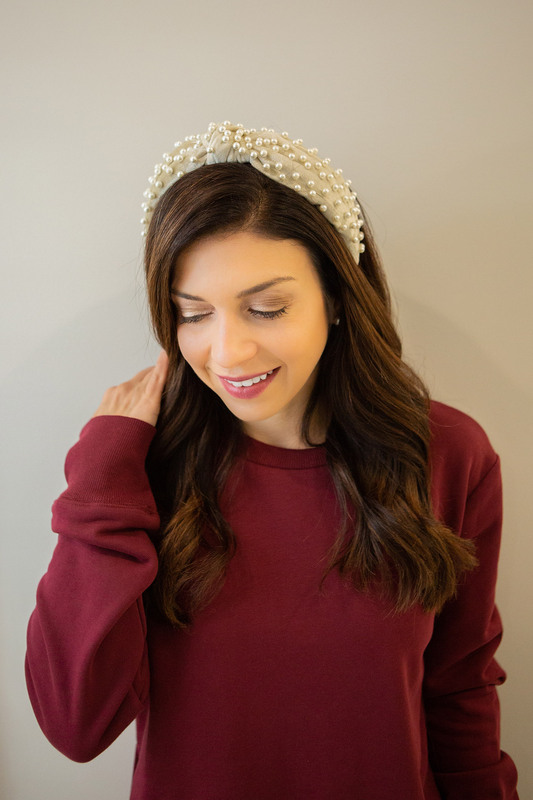 I haven’t been much of a headband person but I saw this one and it had a bit of a royal look to it, so like a sucker, I totally bought it. In person it’s really beautiful and soft and I do really like it. It is one of those things you put on and think “Is this too much?” and often it is, but it gets a lot of compliments and is pretty fun to wear! It’s on pre-order sale here if you want to shop it and have it for the holidays. This under $30 option has the same knotted style as the one I’m wearing and comes in four different fabrics/colors. Want to take your royal obsession to the extreme? 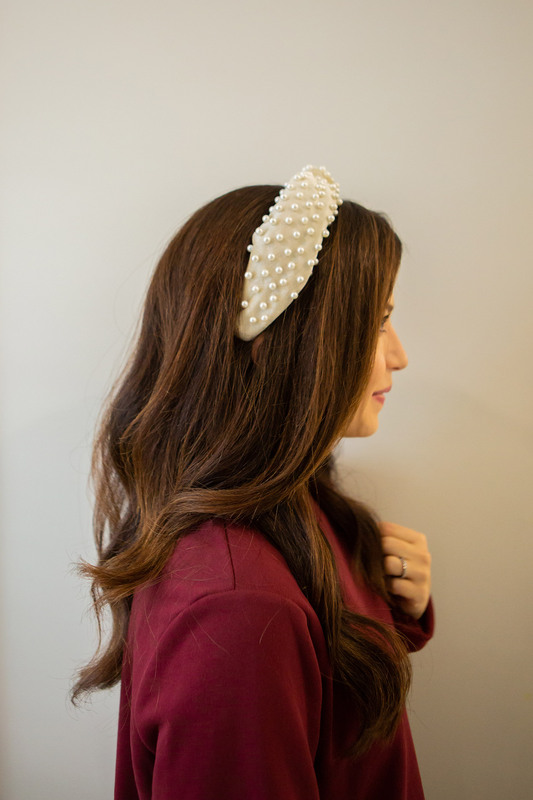 Try this tiara-esque style that’s reminiscent of Meghan Markle’s wedding day style. For the holidays, this beaded plaid style would be really cute and festive! 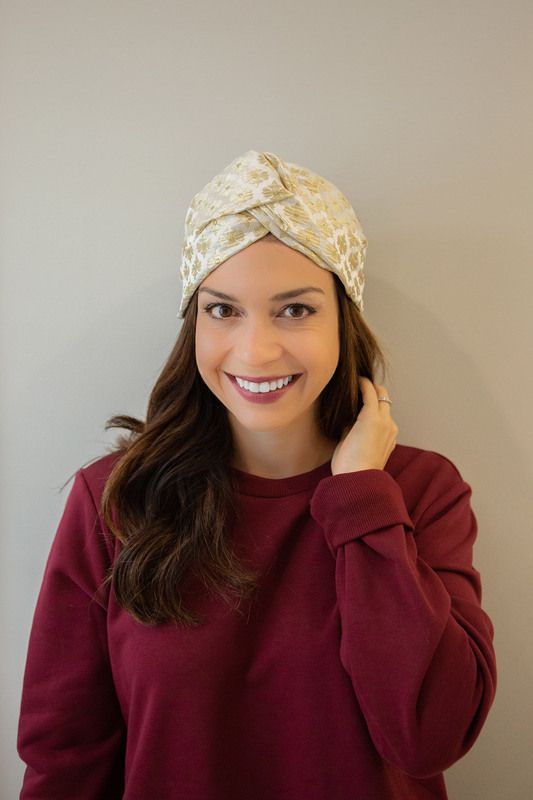 I’ve had this gold turban from BURU for a while now and it is definitely a statement hair accessory. Honesty, I’m not sure my husband is a big fan of this one but it’s pretty darn functional and I really like it! 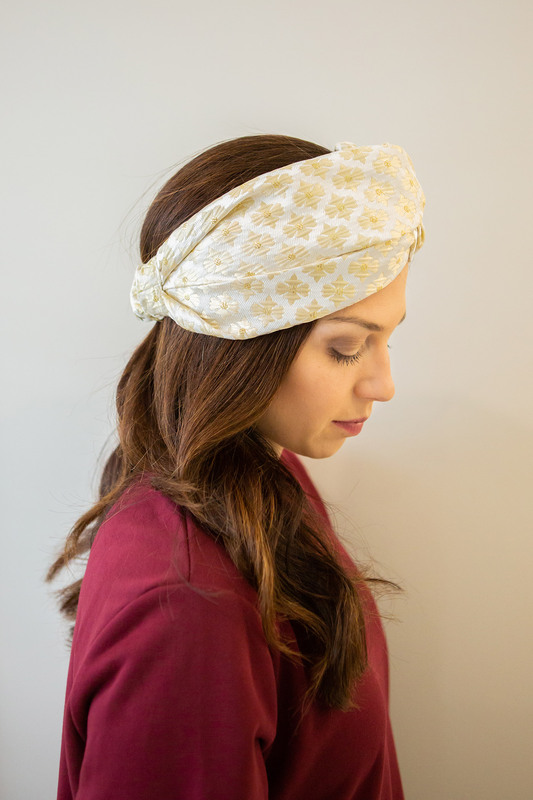 The turban is great to cover up a bad hair day, dirty hair day and gray roots. Plus it looks super cute with a top knot, messy bun or ponytail. I liked the gold one just because it goes with a lot, but there’s also a black one, pink one and new blue one – and several more! 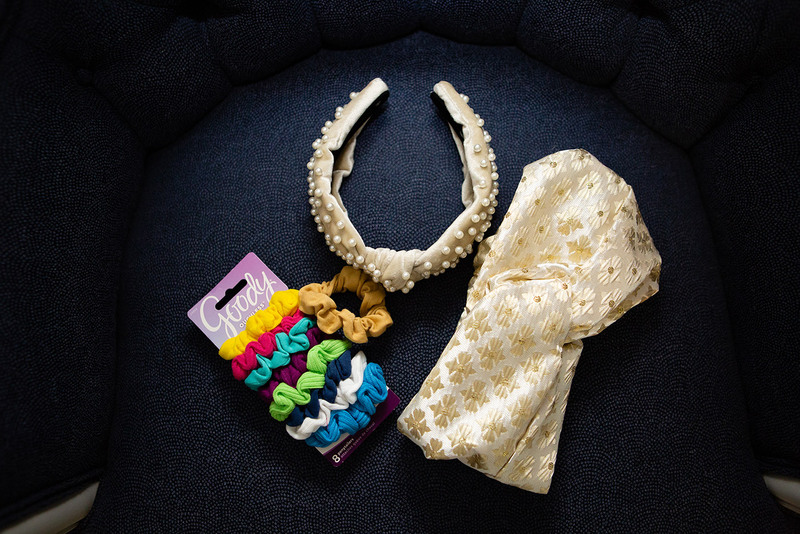 Oh that’s right, the scrunchie is back! 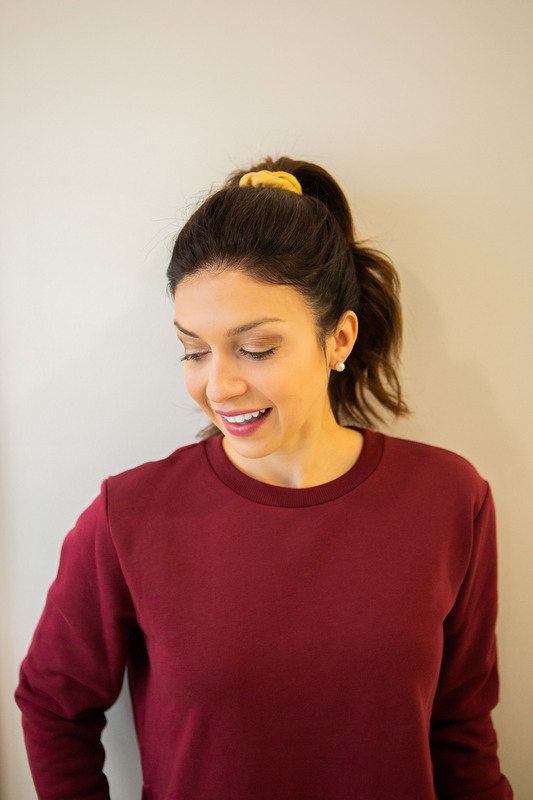 My hair is too heavy for a scrunchie alone, so I’ll first put in a ponytail with my Goody Ouchless Forever hair ties (if you haven’t tried these, you have to! Especially if you have a lot of hair like I do, they’re amazing) and then add a scrunchie for some color or just something fun. These velvety styles come in a TON of colors. I especially like these for game day hairstyles or cute gifts. Keep it sleek and simple with these black scrunchies, and the pack of 8 for less than $5 is a great way to try the trend. 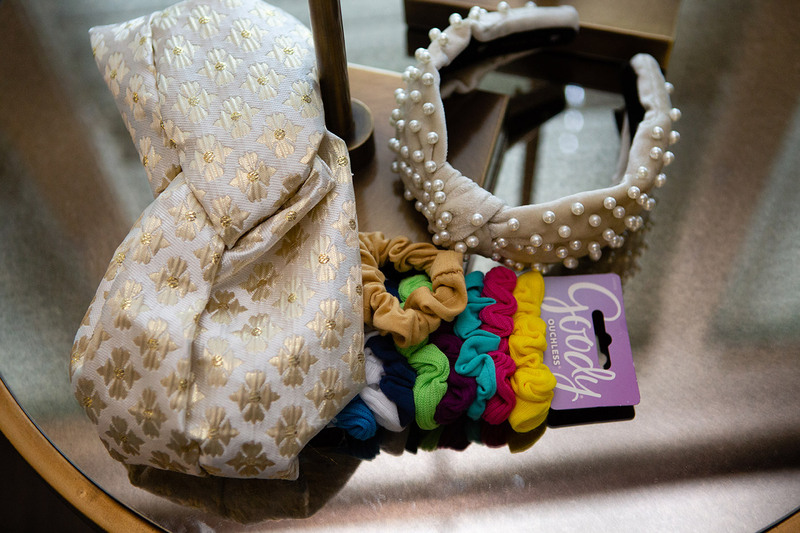 Splurge on these silk scrunchies and wear them in your hair at night (with a silk pillowcase) to give your hair the ultimate beauty rest. This floral set is fun and also looks pretty when you wear it on your wrist!